If you were given the option to remain in a stable country with a lucrative job, or return to your home country, which is in a state of turmoil, what would you do? This is the question Claudia Valladares grappled with and ultimately embraced with courage. 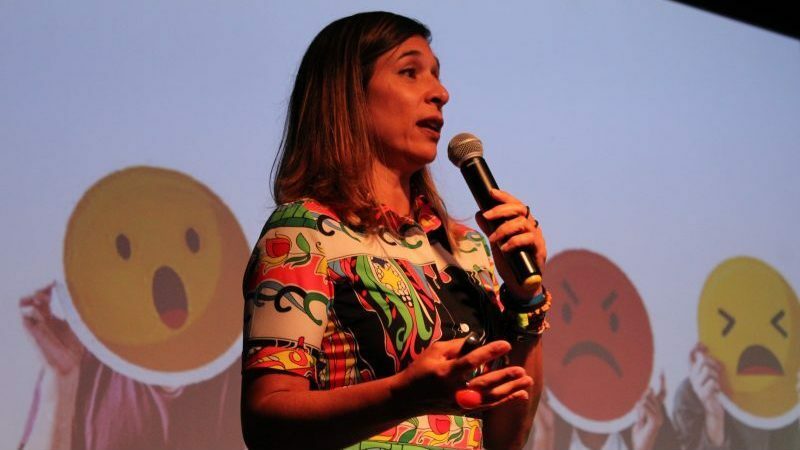 While working in the US after earning her MBA, she decided to return to her home country of Venezuela and co-founded a branch of Impact Hub in Caracas. She now supports entrepreneurs through collaboration, creating an ecosystem to foster social impact. As one of our speakers for Walk Your Talk: Stories of Change (see video below) at The Future of Impact Work Conference held in São Paulo, Brazil in February 2019, Claudia offered poignant stories on what it takes to build resilience in challenging and uncertain contexts. While the launch of the Impact Hub had to be postponed, they took the time to rethink their approach: “We decided to take a more direct approach, looking for solutions through entrepreneurship, and by implementing programs that can tackle some of the most pressing issues — such as hunger, early pregnancy or poor education. Because we are all citizens, as well as entrepreneurs, and that comes with rights and responsibilities. On the business model side, to continue as a financially sustainable Impact Hub in spite of the crisis — which is still not over and is now even worse — we have to be creative: we generate new sources of income in hard currency through programs and corporate consulting services, offering a decent salary to our team and supporting local entrepreneurs, whilst at the same time adjusting our service rates to stay accessible to Venezuelan Impact makers”. We embrace life and adversity with activism and hope. We have a mindset that eliminates the model of scarcity and has a model of abundance. We use a model to change what we don’t like. We know we’re a community. We are convinced to create impact using collective action. We want to be warriors, not victims. We have humor despite the circumstances. At Amani Institute, one of our core values is courage, which we define as “to step into the unknown, and into possibility without having all the answers; to hold steady in the face of both the seductions and threats of the status quo; and to stand up when others can’t (or won’t).” Claudia Valladares is an incredible example of this value. Watch her entire Walk Your Talk speech to learn more. If you are ready to take your social impact career up a notch, apply for Amani Institute’s award-winning 9-month, intensive and hands-on program in Social Innovation Management. The deadline for the upcoming class of Fellows beginning in July 2019 is June 17th.